Business owners can be overwhelmed when they try to figure out how to use search engine optimization on their company's website. Many business owners actually decrease their audience by using improper keywords. Keywords are words and phrases that people use when they are searching for information on the internet. Unfortunately, it is not as simple as inserting a word that relates to your business in your content. If you want the best result, you must take time to learn the best keywords for your industry in your area. If you are struggling with converting your visitors into paying customers or want to improve your rank on search engines, you may want to take a look at the keywords you are using. We have gathered the top tips to help improve your overall search engine optimization to convert your visitors and improve your ranking on the top search engines. The internet is huge, which means that visitors may not be able to find your website among the other websites offering the same services that you offer. 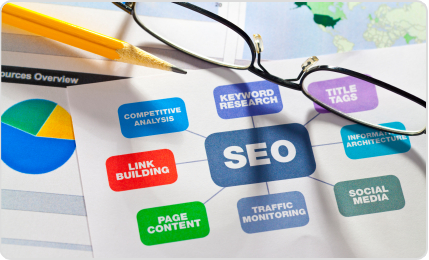 It can be difficult get your website to rank if you are using generic keywords. There are companies that have large marketing budgets that search out the best keywords to ensure that they rank on the first result page of an internet search, which helps them get more traffic to their website. If you want your visitors to sign up for your newsletter, purchase your goods or use your services, you must determine the best keywords for your website and any good SEO services that deliver traffic will have a solid keyword strategy as their basis. Long tail keywords can help make this possible. Long tail keywords are more than just a word, they are key phrases associated with your business. Although these keywords will not receive as many searches, the long tail keywords will help you reach your target audience. If you own an online flower shop, the keyword flowers is too general. Instead, the long tail keywords online flower delivery can help you better reach your target audience. You can further refine your long tail keywords by including your location to your keyword phrase. For instance, if your business is located in New York City, you may want to use a long tail keyword like online flower delivery service NYC. This will help those who are searching for a specific service in their city. This type of audience is more likely to be converted than simply using flowers or flower delivery. Understanding your users intent will help you determine what an internet searcher is actually wanting. If you want to ensure that internet users who are ready to buy can find your website, you want to use the most appropriate keywords. For example, one-word keywords are often used by people who are just browsing the internet, rather than looking to buy. Long tail keywords are the best way to find internet users who are ready to purchase your goods or services. The best keywords are those that are only used within your niche. These keywords may not generate as much traffic as common keywords; however, the users that use these keywords are more likely to buy. Some of the words that can help buying visitors find your site include for sale, cheap or buy. These keywords may not generate the same amount of traffic; however, it is better to have 10 buying visitors visit your site than 50 visitors who are not interested in purchasing your services or goods. Even if you have chosen the best keywords and users are visiting your site, your website must be able to convince your internet visitors to use your service or buy your products. One of the most essential things that your website needs is an effective landing page. You need to make sure that you are properly using your keywords on your landing page. If your landing page includes keywords related to signing up for your services or buying your products, you will be more successful. Use clear calls to action verbiage on your landing page. When a visitor lands on your page after searching for "buy X," they will expect to find the information that they need on the page that shows up when they click on your link. They are ready to purchase from you, so you need to ensure that your page layout and content provides the information that your users need. It is important to avoid keyword stuffing, which occurs when you insert so many keywords that your users have trouble reading the content on your website. If you want to determine the best keywords that will convert visitors, you must research using keyword tools and analyze your competitors. If you are ready to take your website to the next level, you must begin using the information from this article. Although the phrases and examples in this article will probably differ from your unique situation, the principles remain the same. Using long tail keywords and concise content will help to optimize your website so paying customers can find your site during an internet search.